Edgar Berlanga is 21 yrs old and is of Puerto Rican origin. He grew up in Brooklyn and began his boxing career at age 7. By the age of 18, when he turned pro, Berlanga had a total of 162 amateur victories. Edgar is an eight-time national champion and silver medal winner in the Junior Olympic Nationals. Edgar has followed Tito Trinidad and cites him as his favorite boxer of all time. Coming from poverty, Edgar states “if you have a dream, you need to continue to chase that dream no matter what obstacles present themselves. At the end of the dark tunnel you will eventually see the light”. 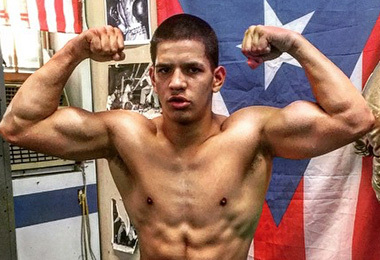 At 160, Edgar who stands at 6’2, will be very dangerous. He is young, fast, powerful, and has been blessed with the tools to be a success and a legitimate contender in this business.